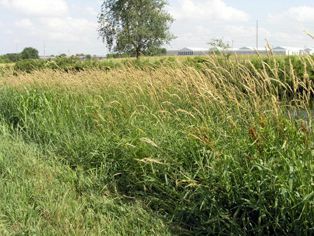 Reed canary grass is an abundant but weedy species with aggressive growth. It is sometimes called RCG for short. However, it is also a promising biomass crop. Reed canary grass begins growth early in the spring, much earlier than switchgrass. It is baled after being harvested for more convenient transport. 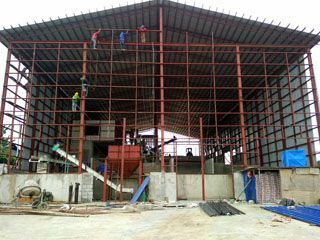 The production of dry canary grass (moisture: 10%-15%) is 5-12 tons per hectare. 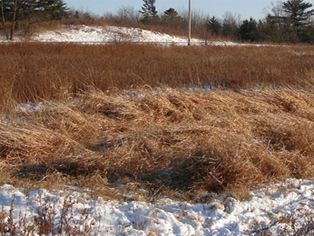 Canary grass is well adapted to a wide range of conditions. It can grow in the same location for many years without the need for rotation, and does so without the need of extensive amounts of water and fertilizer. 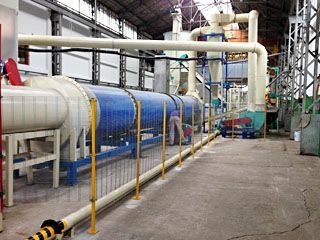 Through in-depth study on reed canary grass, we found that it is ideal materials for making pellet fuel. 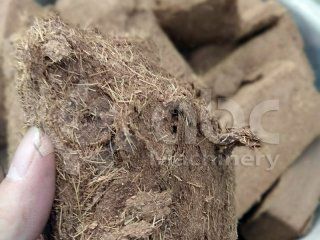 Biomass pellet fuel is environmentally friendly and making reed canary grass into pellet fuel really has great economic value. 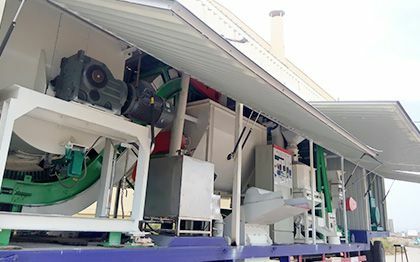 We divide biomass pellet plant into 3 types based on the pellets output: 200-700kg/h small pellet line, 250-350kg/h mobile pellet plant and 1-6ton/h large pellet line. 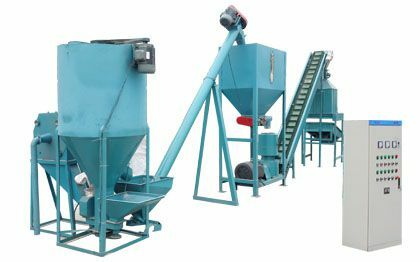 Generally, complete pelletizing process can be bread down into three parts: raw material handling process, pelletizing process and packaging process. 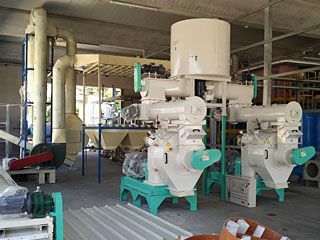 There is also pellet production line which can process ground maple leaves and pine needles. 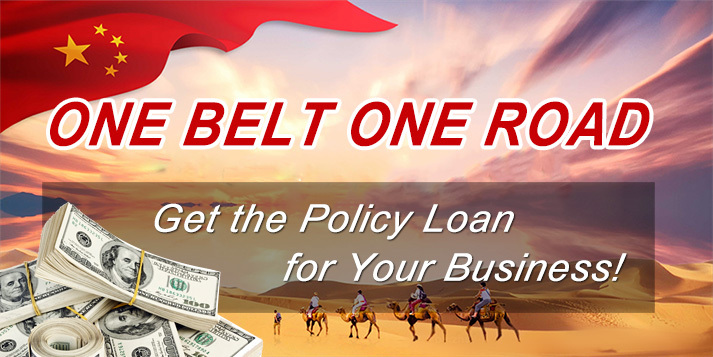 Send us an inquiry if you are interested. Which Additives or Binder Should I Choose? Adding the appropriate additive can help improve the grass pellets characteristics and make low cost grass pellets more similar to expensive wood pellets. 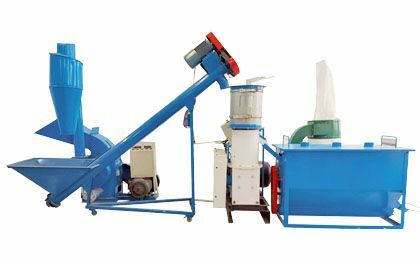 ABC Machinery tried many different recipes to test which additive is suitable for reed canary grass pellet production. A PTO pellet press and a tractor are used in our experiments. We choose to harvest the grasses in winter when they are dead, so that energy for drying can be saved. 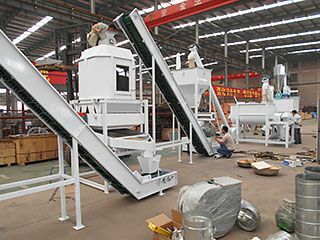 Harvest and collect sufficient grass, then grind the grass into small particles with a hammer mill. 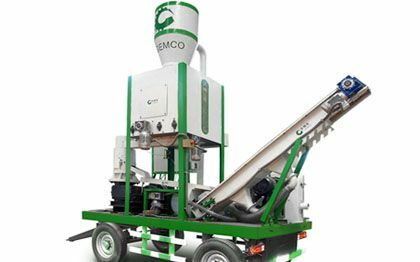 Then, mix the grass with appropriate additives and feed the mixture into the pellet press machine. After trying various amounts of binders and moisture, we came upon the two successful recipes listed below. ★ 5 gallon bucket of uncompressed, ground reed canary grass (about 2.3 kg), 800 mL of wet, spent brewer’s grain (used grain from the beer-making process). 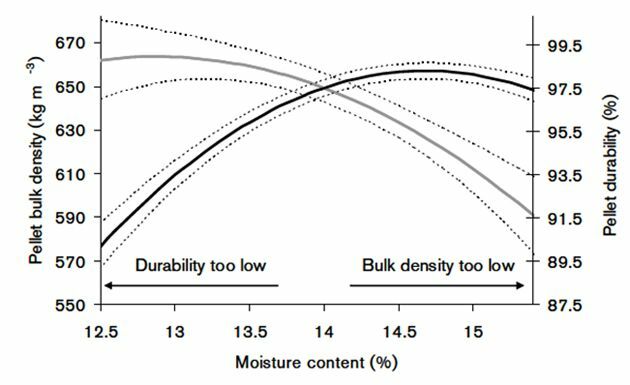 Raw materials moisture is an important factor that can affect the final grass pellets. 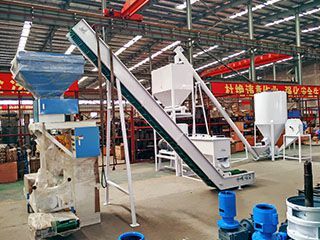 With too little water, pellets do not stick together, with too much water, the materials will clogs up the pellet press. 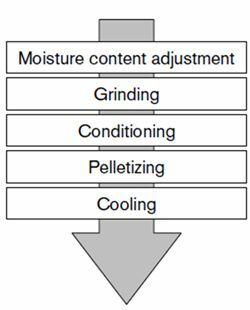 From the above chart we also can see that raw material moisture content was the most influential factor for the pellet quality responses: pellet bulk density and pellet durability. 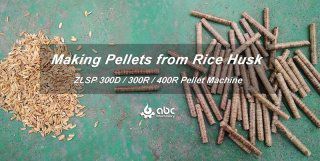 Pellet bulk density and moisture content are inversely related to RCG pellets quality. 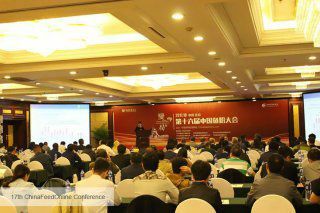 Feel free to contact us if you have any questions about RCG pellet production please! 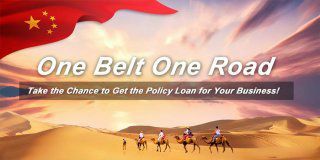 We are glad to hear from you!